Traumatic Incident Reduction (TIR) is included in SAMHSA’s National Registry of Evidence-Based Programs and Practices (NREPP); click HERE to read the TIR Intervention Summary. For more information, check out these sites: Traumatic Incident Reduction Association and Trauma Resolution Center. Administration (SAMHSA) National Center for Trauma-Informed Care considers The Trauma Resolution Center in Miami, Florida the ”gold standard” of trauma resolution programs and funded this educational film (below) about the agency. Wouldn’t it be great to have a TRC in every state in the nation and every country in the world?!? What issues can TIR resolve? 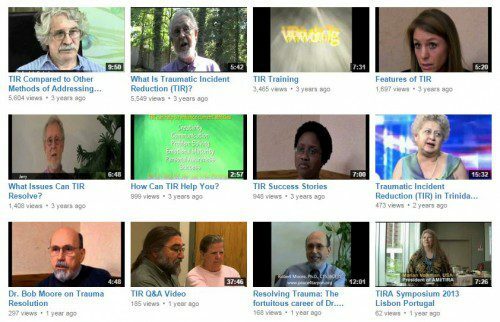 How can TIR help you?